A salty sea breeze blows gently from across the Bosporus strait. The aroma of freshly-baked baklava and Turkish coffee in miniscule cups clinking against each other stir the senses. Sandy, beige-hued buildings arise by the turquoise bay waters. 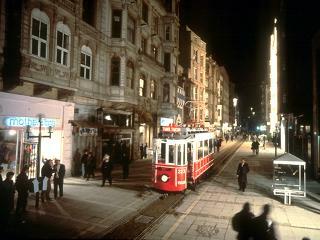 Such are the sounds, smells and sights of Istanbul, the city that straddles the divide between the East and the West. It was once named Constantinople, and served as the seat of the Byzantine Empire. After its conquest by the Ottoman Sultan Mehmed II in 1453 it was renamed Istanbul and served as the capital of the Ottoman Empire until 1923 when Kemal Ataturk moved the capital of the newly formed republic to Ankara. 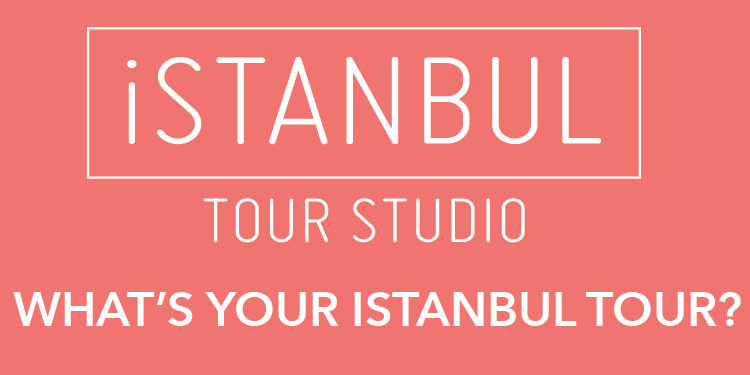 It takes a week to explore Istanbul, if you’ve already done your planning. On top of any tourist’s list would be Taksim Square opposite the Golden Horn bay from the Sultanahmet district, the Topikaapi Sarayi Palace, the Ottoman built Yeni, the Blue and Sulmaniya mosques in Sultanahmet, the Hagia Sophia, and the Eqyptian, Spice and Grand Bazaars. The city’s oldest historic sites are in Sultanehmet district or the old city, situated in the European side. The fourth-century Basilica Cisterns sitting beneath the ground are one of the least heard of places in Istanbul. Built by Romans as a water storage site, today they are perfectly illuminated and connected with small wooden bridges, making it comfortable for a walk. A six-lira pass gives non-Turkish citizens the chance to view statues of Medusa. Close to the entrance of the Basilica Cistern, stands Million, a marble dating back to the 4th century. It may seem unremarkable but represents the remains of a pillar from which distances were once measured to all corners of the Roman Empire. One day should be devoted to thoroughly touring the Topikapi Sarayi palace. Built for the Ottoman Sultan in the 15th century, Topikapi was, at one point, the biggest palace in the world occupying 700,000 square metres. Today it has shrunk to 80,000 sq metres with the construction of other structures around it. From the castle terraces one can enjoy the charming view of ships sailing on the Sea of Marmara on one side and the city on the other side. A cup of hot cappuccino and pistachio-sprinkled chocolate baklava from any of the small cafes dotting these terraces perfectly complements the view. Istanbul has over 6,000 mosques, 600 of which were built during the Ottoman period. These are grand, awe-inspiring structures, one more magnificent than the other. Most were built between the 15th and the 19th centuries and stand proudly in the districts of the old city. The boundary wall of Istanbul — known as ‘Isambol’ in the Islamic world and ‘Constantinople’ in Europe, until the official name changed to Istanbul in 1923 — is intermittently visible along the shore. Bazaars such as Araasta, Grand and Egyptian spice in Sultanahmet are famous as much for their archaic interior and historic relevance as for their shrewd vendors, ready to fleece unsuspecting tourists. Shopping here is only advisable for those possessing a knack for bargaining. While they overwhelm you with their hospitality, plying you with coffee and kava, the Turk shopkeepers keep one eye on the profits, never buckling under your bargaining, switching between different languages to facilitate tourists of different nationalities. Eight to nine hours can easily slip by touring the Grand Bazaar. Here, you can buy beautiful hand woven rugs and carpets, stop at one of the cafes for a reprieve, buy jewellery or an antique item for your house or some new threads at one of the clothing outlets. Original leather goods are abundant here, and you can get copies of designer bags which cost nearly as much as the originals. The bazaar today has over 4,000 shops and is divided according to the goods for sale, except for the cafes which are present everywhere. Built in the 1400s, segments were added as it expanded during the centuries and those added over the past 500 years have dates inscribed over the gates. The fragrance of cinnamon, cardamom and vanilla pods lingers in the vicinity of the Egyptian spice bazaar, a must-see for those interested in cooking or even just those who like beautiful buildings. The local cuisine not only tastes great, but is also less pricey, compared to some of the international food chains present here in abundance. Ethnic Turkish food like borek, kebabs and bread are also more nutritious. The rooftop restaurant Olive atop Sultania hotel is perfect for a special candlelight dinner, as it commands a ravishing view of the Haghia Sophia and the Blue Mosque, standing side by side in the Istanbul night.